Everyone wants to be creative in order to deliver the best works in their work. I used to think that being fully creative is the most important part in every design projects. While that may be partly true, it can be a problem sometimes, especially if you are dealing with web design. If you own a business, you know that in order for your business to be more recognised, you have to make your own website so that you can be more interactive with your customers or potential customers, and they can also feel familiar with your brand. A website also helps in building trust with your audience, because aside from always being informed and updated about what you’re up to, they can also trust that you are keeping it real and authentic. However, while having a website, you might want to be very creative in expressing yourself on your website, which can lead to a very beautifully designed website. That being said, will that website work well in the long run? Well, as a person who wants to keep learning and learning more about design and creativity, I have come to a conclusion: it is not all about creativity. The more you design for people, the more you see that creativity is better if used for the people you design for, not for your own satisfaction. This means, you use your creativity to make the website easier to use and not only good in the eyes. Most of us start as visual designers, and then we grow and learn more about user interface, conversion, user experience, accessibility, or usability. That’s when you realise that it is not only about being creative. While being creative is good for your website, using too much creativity without logically thinking will soon be a problem to your website. Why? Well, ever seen a website with cool introductions and creative animations before, but then when you stay on that website, you realise that the longer you stay there, the longer it takes to load and suddenly your PC starts to crash. Yes, that’s how creativity can be a problem to your website. The truth is that too-complicated layouts, too-creative solutions and reinventing wheels won’t make your users’ life easier. Therefore, a good balance between a creative, artistic, and original design while still making it intuitive, without losing usability yet still providing good results for the business is the right choice to be creative without having a problem. The question is; how? Well, this article will answer it for you! Keep reading to find out! According to Google’s research, users prefer websites that look both simple (low complexity) and familiar (high prototypicality). While that doesn’t mean that your website should look boring, your website should be easy to access, especially in the navigation part where it can lead your visitors to every page easily as if they were being familiar with the website. Aside from that, your website should also look unique at the same time. One thing for sure, as unique as your website is, never ever make your visitors think hard just to access your website. There are many early established web conventions and standards like the placement of your logo, navigation, search bar or login link. There are even conventions on an icon’s meaning, website element names, (e.g. Home, Sitemap, or Contact), button styles, layout and visual hierarchy. All of these standards will help your users navigate and find what they need much faster and easier. Just stick to some of the most popular conventions but use your creativity elsewhere. So, where should you put your creativity? 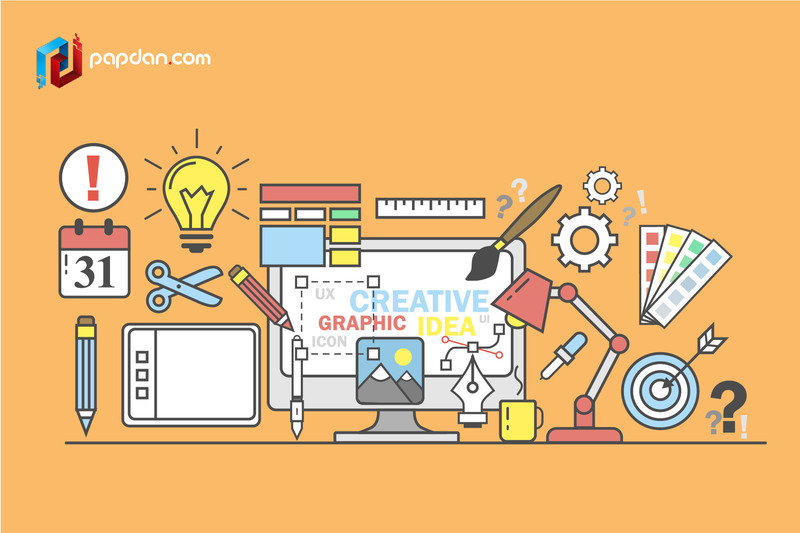 You can use your imagination on visual design. You can always be creative when it comes to the visual design. That being said, that doesn’t mean you can put animation designs on every web pages. In the visual part of design, you can try to make over some colour with different colour schemes or interesting font combinations. You can also play with spacing, visual balance and hierarchy. 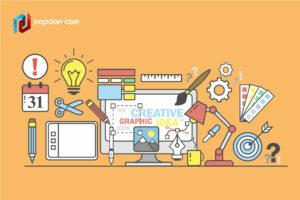 Design original illustrations or clever hover and scrolling effects. Try to find creative ways to simplify your design. Minimalism is not about hiding features or content, but about doing less, which is better. Yes, actually simplifying design can very often need more creativity than making it complex. That’s how you can balance between being creative while placing yourself in your visitors’ shoes – be them, and feel your own website. Put yourself in their perspective and that’s how you understand the unity between creativity and usability. This entry was posted in Article and tagged business, content, design, designer, developer, development, google, interface, marketing, Melbourne web designer, online, programmer, search engine, search engine optimisation, search engine optimization, SEO, SEO agency, social media, user interface, web design, web designer, web developer, web developer agency, website, website designer, website development on July 5, 2018 by Mario.